LISA - Stay tuned for coverage of LISA2013! 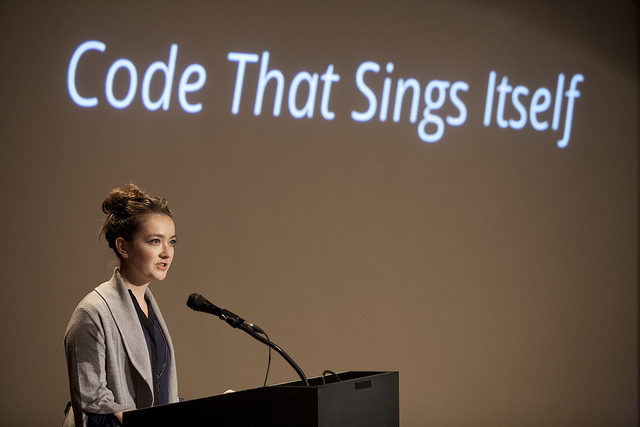 The Leaders in Software and Art conference held on Nov. 1, 2013 (LISA2013) drew over 400 people working at the nexus of art and technology to the Tishman Auditorium at The New School last Friday. We’re now working on getting the individual videos edited and posted to our YouTube Channel (lightning talks were very popular this year!). If you’re anxious, you can check out our Livestream, where the videos haven’t yet been through post-production. The conference brochure PDF can be downloaded as well. Sign up for our public mailing list on the right to learn about next year’s conference!